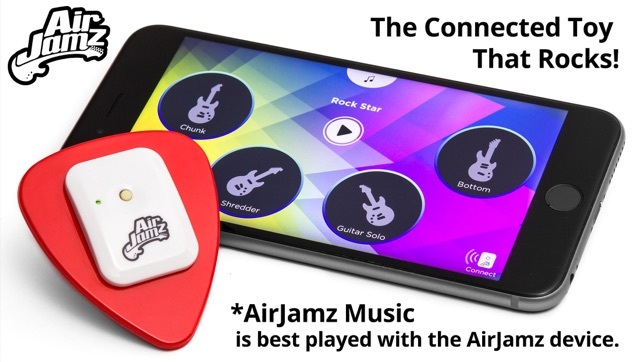 AirJamz Music is the official app for AirJamz — The Connected Toy That Rocks. 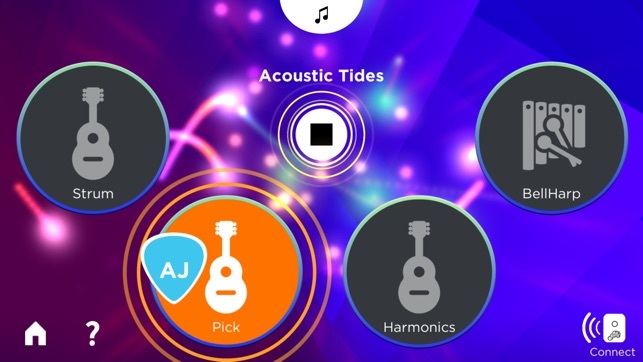 Just connect your AirJamz by Bluetooth to the app on your mobile device – Then pick a song and strum along or use any moves you want to create music! Visit playairjamz.com or find us on Amazon to get your own. 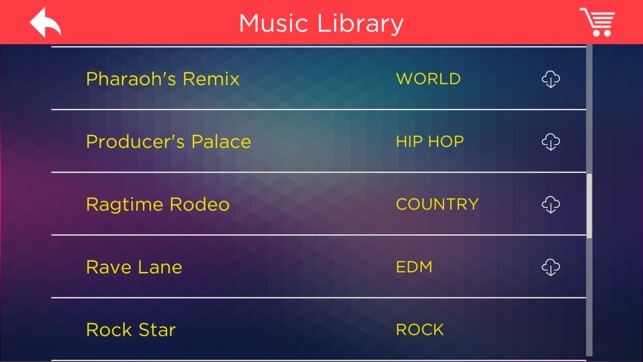 • Feel like an instant rockstar in an app-based music experience for the entire family. 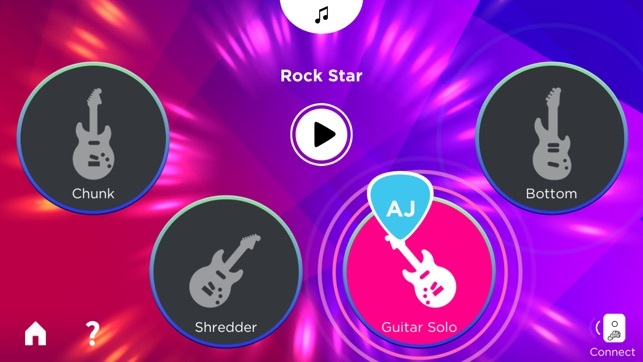 • Simple: download, connect and rock out — anyone can play! • 100+ unique instruments & sounds to play — iconic air guitar riffs, air drums, air keys, SFX and more. • 25+ songs can be played solo or with up to 4 players. We’ve all played air guitar and it’s an awesome feeling. 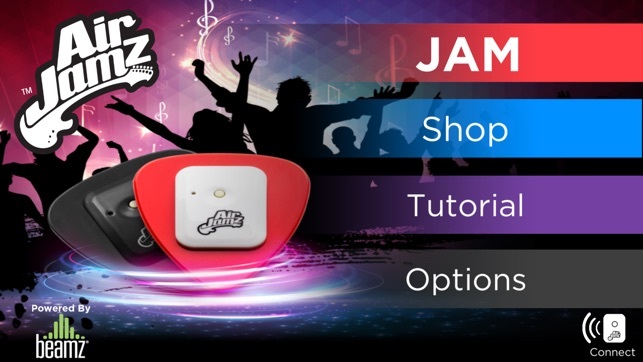 With AirJamz, instead of pretending to play along to that epic guitar solo, you get to create your own. Your moves make music! No experience necessary, just pick up and play. It looks like a guitar pick, but you can use it to play the drums, keys and tons of other instruments too. 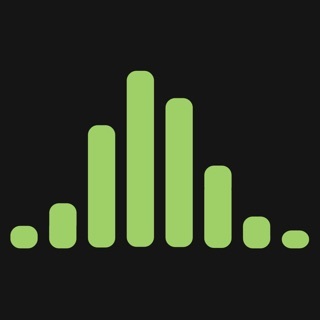 Love EDM, Pop or Country? AirJamz has them all. 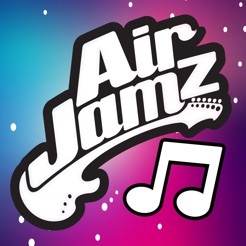 And if you like music games or karaoke, you’ll love AirJamz – it gets the whole house rocking! 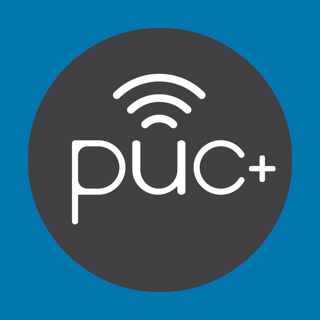 Choose from over 25 music tracks and download the songs you want from the cloud to save space. Each track has 4 instrument banks giving you access to hundreds of unique sounds. Play on your own, or make it a group activity; up to 4 people can connect and play at the same time, so it's great for solo or family play. Whether you're playing air guitar, or just want to dance around to make music, the experience is up to you. 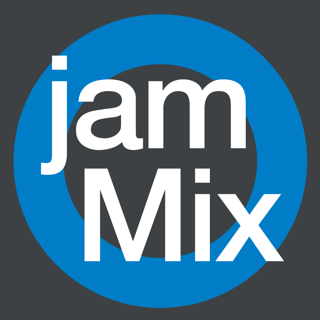 AirJamz is brought to you from the team at Zivix — Quality you can trust from the makers of the jamstik+ SmartGuitar. Don't have an AirJamz? Visit www.playairjamz.com to learn more and get your own! This incremental update enables push notifications which were unintentionally turned off in the previous release. Updated to allow access to play via touchscreen without an AirJamz device. AirJamz device and App is too much fun! 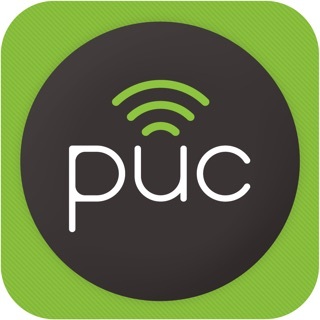 This App has just been updated to allow it to be played even if you don't have the AirJamz device. I would love to be able to give it more stars. My only quibble is that there is no looping function and I have to keep restarting the backing track. This is only a problem because it is so much friggen fun to play that I don't want to stop. The device and App allows you to play a bunch of different instruments from flutes to banjos against some really cool backing tracks. You can also play it in groups up of to four people with each person playing a part. Playing this thing is pretty much just waiving your hand around in the air and flicking your wrist faster or slower to get different kinds of effects. You can play it like an air guitar, but you can also waive your hands around like a conductor of an orchestra. You can also "play" if by simply jumping up and down. Lots of fun and great excercise too. With the new release, you can also play it with only the touch screen. Still a lot of fun. The sounds they have built into the App are totally awesome and keeps growing. I was also a Kickstarter backer and agree with other reviewer(s), this is pretty cool! You can actually have a lot of fun with no speakers, just playing thru your phone, and it surprises so many people when you start playing air guitar and they have no idea how you are doing it as you hide the pick in your hand. Since Bluetooth tech does not allow for "double" connectivity with audio, you do need to know you cannot use Bluetooth speakers. Latency would be high I would guess. Agree, great stocking stuffer! Kids can't put this down. Addictive and fun!! Kids can't put this down. Addictive and fun. Great for parties!